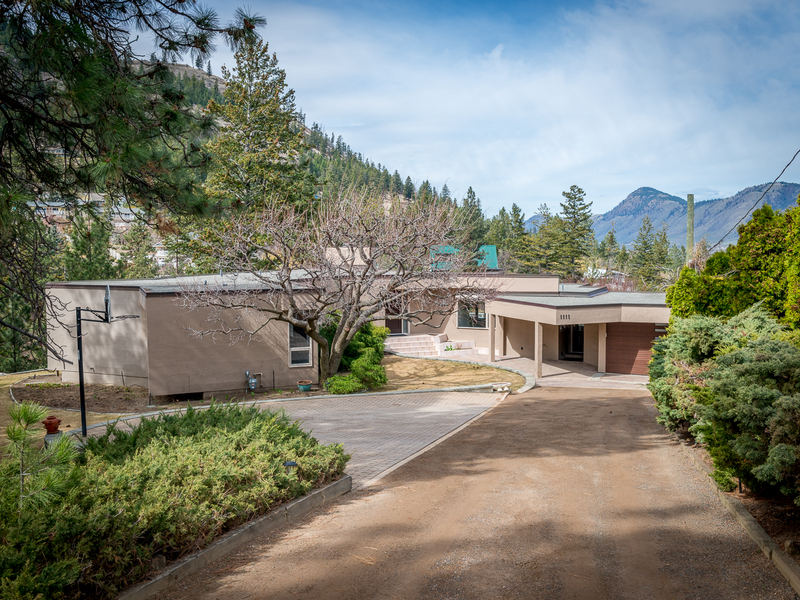 New Listing: 1111 Wildwood Drive, Barnhartvale, Kamloops, BC $579,900 - Real Estate Blog - CENTURY 21 Desert Hills Realty (2010) Ltd.
New Listing: 1111 Wildwood Drive, Barnhartvale, Kamloops, BC $579,900. Extraordinary & unique custom level-entry 5 bedroom, 3 bathroom, 3,100 square foot home. It's situated on a private 2 acre lot in Barnhartvale! This well cared for home offers some of the most impressive and captivating views! The main level features an inviting great room with hardwood floors, cedar ceilings & gas fireplace. It opens to the bright dining space with direct access to the private deck area that overlooks the sloping hillside to the creek. The excel kitchen with corian countertops provides plenty of space for your culinary needs. There's also a cozy breakfast nook! 4 bedrooms on the main floor, 3 piece bathroom, master bedroom has a spa-like ensuite with a jetted tub. Also a lovely reading nook with heated tile & a laundry area with extra built-in storage.